This updated Black Mamba is a replacement CE5 atomizer that can be used with any eGo or 510 battery. 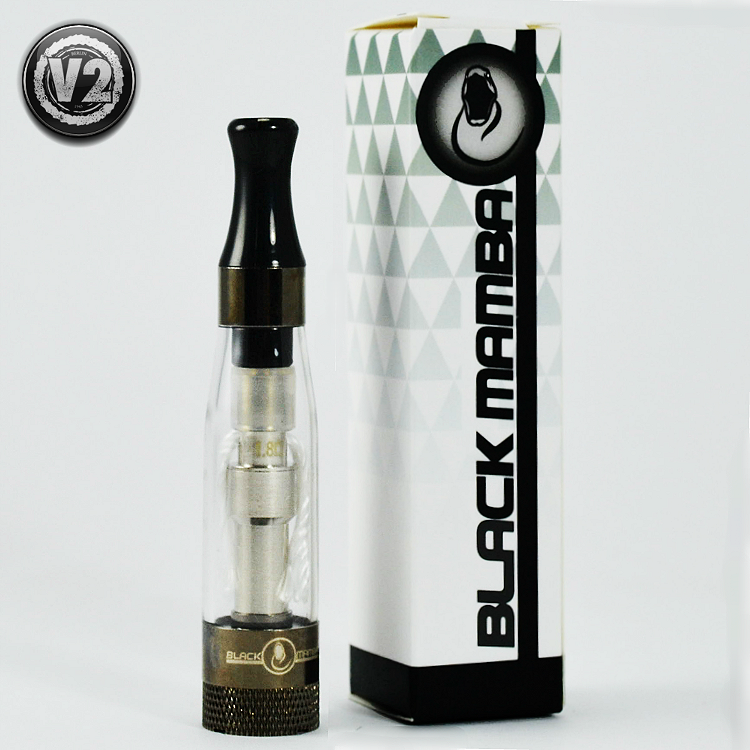 A classic in its own right, the Black Mamba V2 holds up to 1.6ml of juice and features changeable atomizer heads. The wicks absorb e-liquid exceptionally well, resulting in a richer and fuller vape compared to CE4 technology. The Black Mamba V2 is built with a much improved air flow system; this means the flavor of the e-liquid is greatly enhanced. The wicking is effective against clogging and helps reduce dry hits. To refill, you just remove the drip tip, add ejuice and replace the drip tip. We suggest waiting 60 seconds for the wicks to absorb liquid. The Black Mamba V2 is also easy to clean and maintain. For the best performance and flavor experience, we suggest using a different atomizer for every different liquid. Swapping for a new atomizer every 20-30ml of juice is also recommended. A great atomizer for those on a budget or old school enthusiasts, the Black Mamba V2 delivers performance and affordability in a great package.